There are just two weeks left of school and my kids are jumping for joy for summertime. I have been working on putting together some summertime tips for moms, as I know how hard the summer months can be at times. After having a summer where things were really hard a few years ago, I have learned how I can thrive, not just survive during the summer. 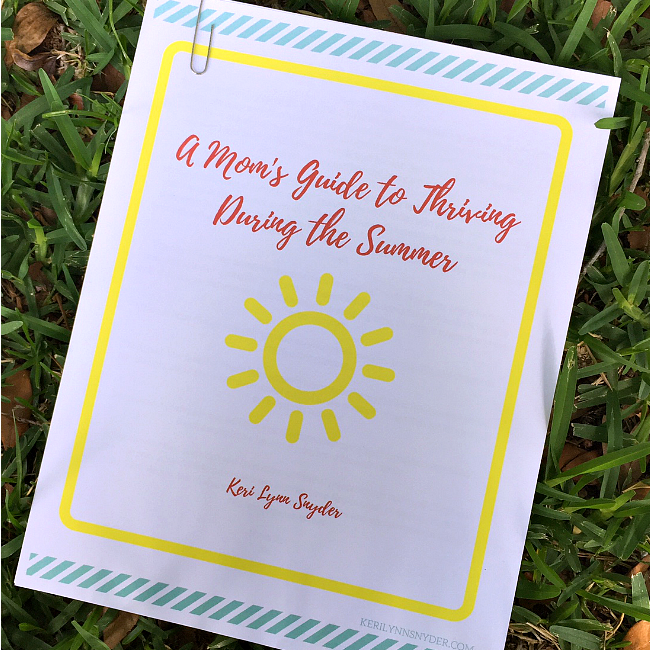 In my excitement for summer and desire to share what I have learned with others, I have put together A Mom’s Guide to Thriving During the Summer. 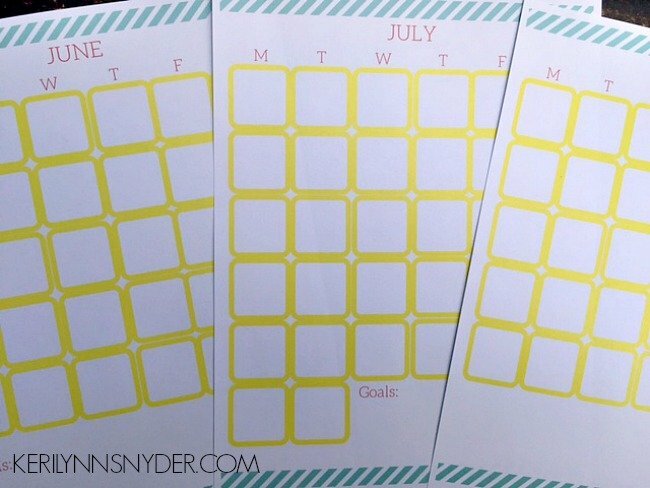 This PDF guide is full of my five favorite tips for summer, a mom’s reading list, a family bucket list, 2 daily plan options, a weekly plan, and monthly calendars for June, July and August. 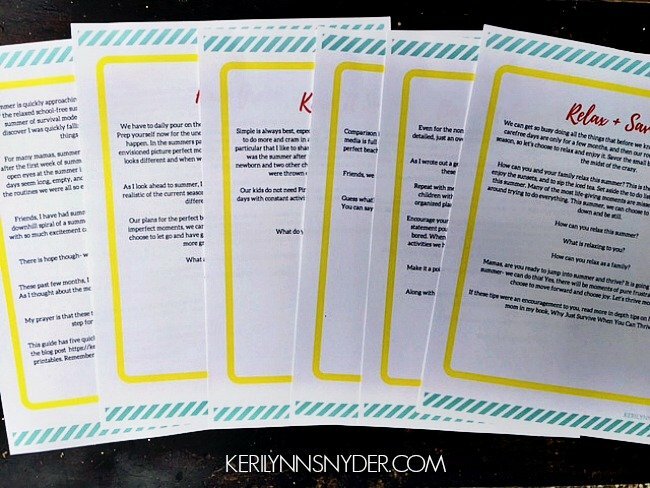 Five Tips- In the beginning I share 5 tips that are essential for moms! Each has a little encouragement and some simple questions to ask yourself. Mom’s Reading List- I am a huge fan of self-care. Moms need to be carving out the time for what they love. Last year I realized that I was all focused on what the kids were going to read during the summer, but not worried about myself. So I started to make a list for the summer. I encourage you to do the same thing if you are a reading fan! Family Bucket List- Remember the Summer Activities List? Pull your favorites from this and write them on a bucket list! Ask your kids if they have any fun summer adventure ideas. Now some may be a tad unrealistic but sometimes you may be surprised by a simple request to get ice cream together. Daily and Weekly Plans- While I am a fan of slowing down and relaxing during the summer, I also know that empty hours can quickly lead to chaos and exhaustion. I have learned that having a general plan is key! 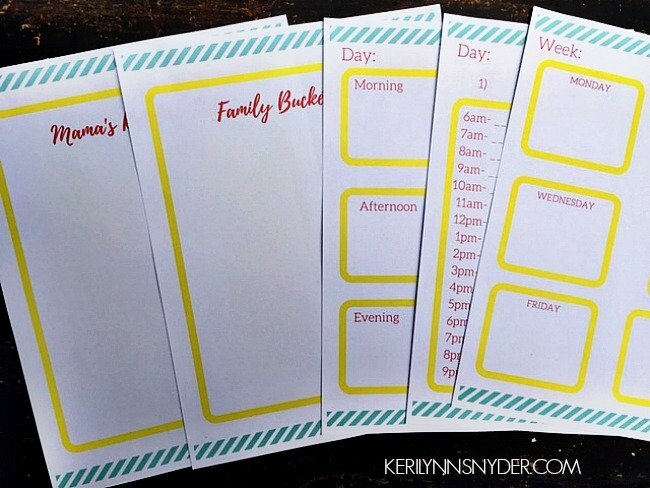 Use these printables to map our your plan. Monthly Calendar- I love having separate calendars to write down the fun activities. My suggestion would be to print these off. Then look at your main calendar, mark off any dates you already have plans and then look at the rest. Weave in slower moments with busier moments to be intentional with your time this summer. 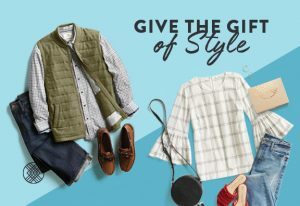 This summer guide is only $4.99! Buy it here. 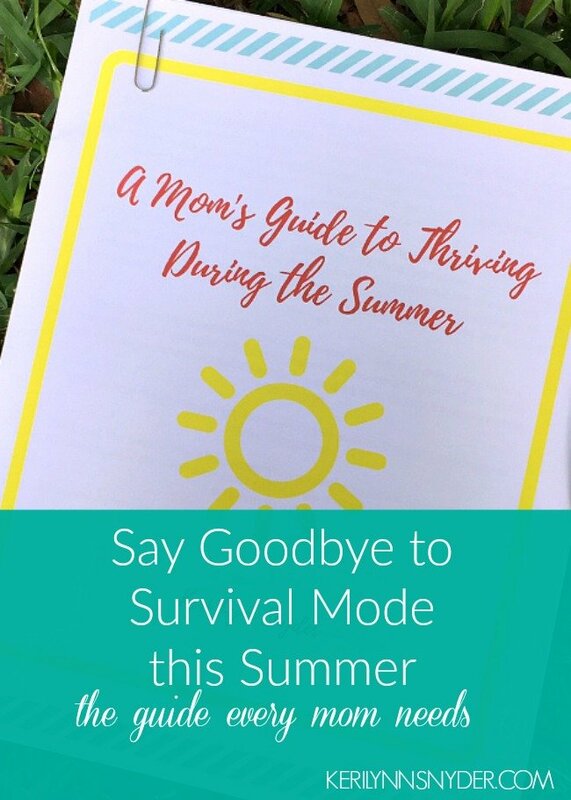 You can also get a special bundle sale– purchase A Mom’s Guide to Thriving During the Summer plus Why Just Survive When You Can Thrive for just $7.99! 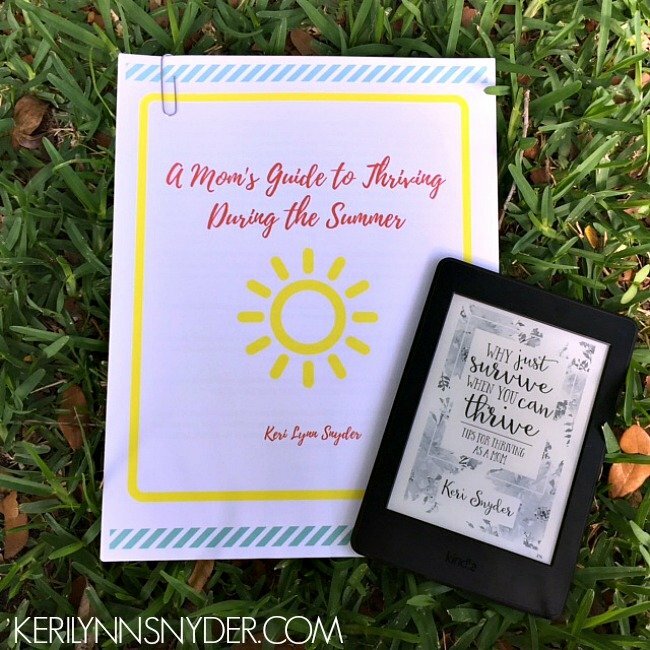 This PDF and e-book will help you enjoy summer and grow as a mama. Purchase your bundle here. Don’t forget to grab your guide and get ready for summer! What are your favorite summertime tips for moms? 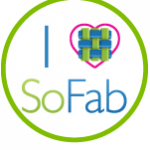 You are such a great resource, Keri!